Move over Nokia Lumia 620, you have just been dethroned by the new Nokia Lumia 520 as the company’s most affordable Windows Phone 8 device to date. Announced at Nokia’s Mobile World Congress press conference yesterday, some of Lumia 520’s features are somehow surprisingly better than Lumia 620. One of such features is the 4-inch IPS display which comes together with Nokia’s super sensitive touch technology. The Lumia 520 also comes with a bigger capacity battery at 1430mAh that provides up to 9.6 hours of 3G talk time as well as 360 hours of standby time. Additionally, the Lumia 520 does not come with Lumia 620’s dual distortion-free high-amplitude microphones and Dolby Headphones enhancement as well as a front-facing camera. That being said, the Lumia 520 still share a lot of similarities with Lumia 620 such as a 1GHz dual-core CPU in its Qualcomm Snapdragon S4 chipset, 512MB RAM, 8GB internal storage, the support for microSD card, and 5-megapixels autofocus camera. 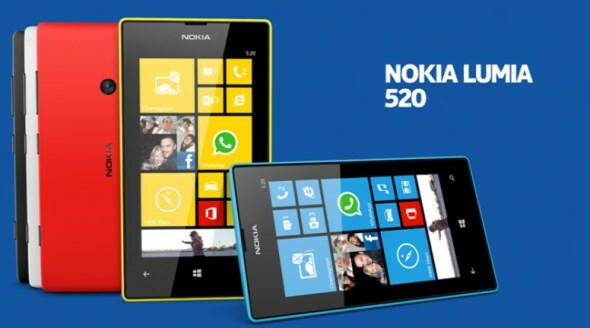 The new Nokia Lumia 620 is scheduled to hit Hong Kong and Vietnam in March before making its way to other markets throughout the world in the second quarter on 2013. It comes with a price tag of RM 563 (EUR 139).